Michael Bay wants to make every kind of movie. I find it curious that he chooses the Transformers franchise as his vehicle to express his genre inclinations (James Cameron is nodding over there by his Avatars), but despite the heaps of attention poured upon what he does or doesn’t do well, Bay loves including lots of diverse elements and story pieces and shiny objects into what he makes, and by diverse, I mean everything. I probably missed some, but these 6+ plotlines are basically their own movies that Bay uses to do some stuff that he hasn’t before. 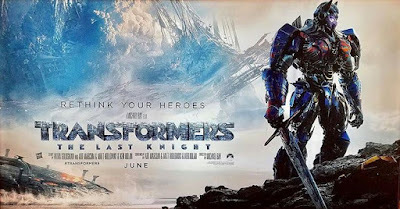 Since the starting premise of this movie is that the Transformers have been around for centuries influencing human history, there is a scene which takes us back to King Arthur and his knights (which is what the title hearkens to) where Bay gets to stage and film a medieval battle complete with knights, screaming hordes, and trebuchets. It looks decent, but doesn’t feel on par with whatever Game of Thrones has done in the last few seasons (I only make the comparison because both franchises clearly do not have budget as a major obstacle). Along with the medieval swordplay, there’s fantasy elements, space horror, sci-fi, unlikely family dynamics, strained romance, modern military battles, and conspiracy theories; it’s like a giant audition tape, a Bay pastiche (Bay-stiche? I can’t stop), a look at all of these genres through Bay’s lens. All of these elements are touched upon, but predictably not into great depth, despite the running time extending to 149 minutes. For a movie about sentient robot aliens, it feels like it sidelines the Transformers most of the time, treating them like side characters in their own movie. 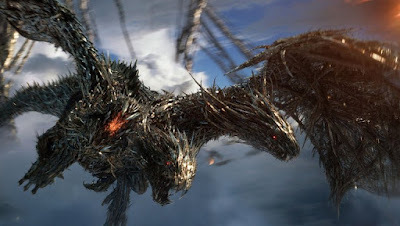 Look, if I’m watching a Transformers movie, then I want to see them on screen as much as possible. Since the titular characters aren’t on screen, that means we have to spend time with the human characters, who are boring either from their lack of dimension or their nonsensical behavior. Laura Haddock and Isabela Moner are up for the game and try really hard, which only seems hilarious because they’re most often opposite of Mark Wahlberg, who isn’t so much dialing it in as much as he knows exactly what kind of movie he’s in. The same cannot be said for Sir Anthony Hopkins, who seemed to not have been told what do aside from explaining everything, so he just does whatever he wants. He goes from jovial and avuncular, to didactic and tyrannical, to menacing and mentally imbalanced. It’s weird watching him mug for the camera this way, but this is the cinematic world that we’re living in. The performances aren’t as openly hateful of people as in the earlier films (although a sequence with a mom and prying aunts is sigh-inducing), but they’re just sort of boring, mostly expositing or delivering tone-deaf humor. Again, I’m not expecting fully fleshed characters in what’s ostensibly an action movie, but to force me to spend more time with stubs of characters at the expense of the action seems like a miscalculation. I don’t know if Bay has gotten bored with the robots, or if he’s responding to criticism of not developing character, or if the robots just cost too much to animate, but the balance seems off, which is again a silly thing to say in a movie that is six movies. Speaking of other movies, Transformers 6, 7, and 8 have been announced, with plans for a Bumblebee spinoff directed by Travis Knight, which is mildly intriguing. Part of the staying power of this franchise, despite its storytelling deficits, is obviously its strong box office appeal in the overseas market, but the reason for that is the franchise’s reputation as a standard bearer for cinematic technology. It is a big loud American movie and one can see the budget on the screen, and this approach (and bankability) has influenced a growing number of action and sci-fi movies. How many times have you seen the distinctive high-definition, blue-orange patina of a Michael Bay movie outside of his films? I was going to make a chart listing all of them since 2007, but there’s far too many to make it even practical. Bay clearly is not the only who has made that particular style popular (Cameron did a lot with Avatar as well), but his status as the pre-eminent auteur of a distinctive style of Hollywood blockbuster means that he’s not ever going away, and that he’s actually a significant part of film history. 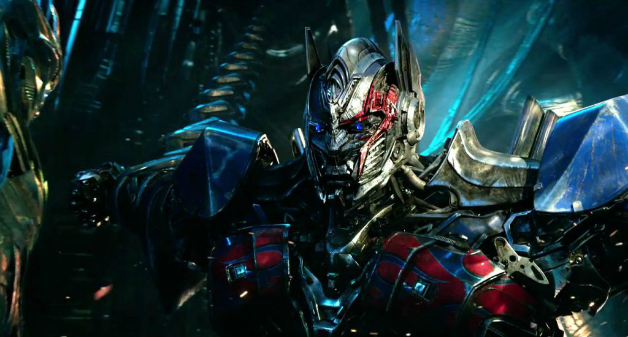 Since he’s not going away, but is reportedly not directing any more Transformers movies, I’m curious what Bay will wander into next. A Mafia/gangster movie? A Western? I don’t know if I’d like any of those, but I’m sort of glad that he doesn’t have to do it through the lens of alien robots. I'm still rooting for a Go-bots movie. Also, the 5ish Avatar movies coming our way....they'll either be the best thing ever, or the worst (in the eyes of the public). It's going to be black or white. I'm kind of hoping they never appear, because the story of that will make for a bunch of interesting documentaries. But it would also make for a bunch of wasted time for James Cameron if that happens, which I'd rather not see. I'd rather he make movies too. Because I love all his movies. But it's been 8 years since his last (Avatar), and the next Avatar 2 is supposed to come in another 3 years? Although I'd prefer he do what he wants, rather than just put out a movie each year, just because he can, a la Woody Allen.